The Pro Choice Action Collective is planning both to march on Labour Day, and a counter-protest against an anti-abortion rally. They're having a planning meeting on Monday April 11. 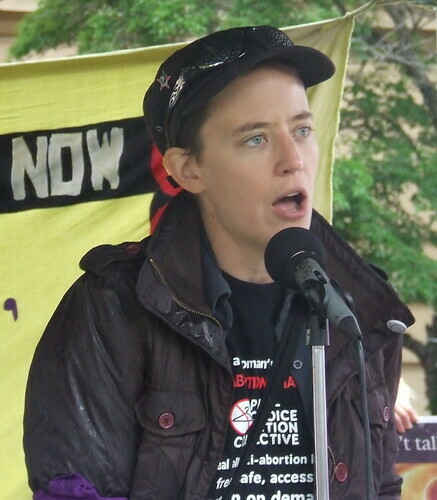 The meeting will also discuss sending a group to a feminist conference in Melbourne in late May, and plans to organise a big rally sometime before the State election. The meeting is on Monday April 11 at 6.30pm at the Trades and Labor Council bulding at 16 Peel St, South Brisbane, on the corner of Merivale St - click here for a Google Map with public transport details.There's a Facebook event for the meeting, and the Pro-Choice Action Collective also has a FB group. Public Meeting Tonight - Will Thousands of Refugees be Sent Back to Afghanistan? The Refugee Action Collective is holding a public meeting tonight about the risk that thousands of refugees will be sent back to Afghanistan from Australia. The risk comes after a Memorandum of Understanding was signed by Australia, Afghanistan, and the United Nations High Commission for Refugees in January. A media release issued by the Australian Government in January said the Memorandum "paved the way for the return from Australia to Afghanistan of unsuccessful Afghan asylum seekers". 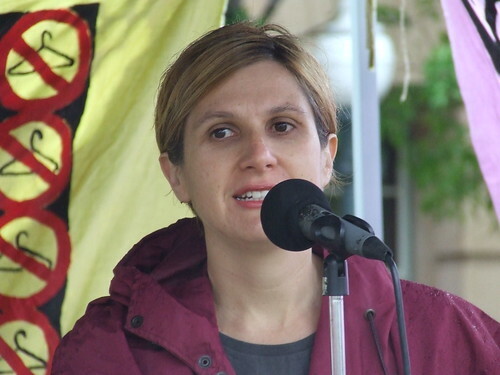 Speakers at the meeting will be immigration lawyer Sonia Caton, Dr Sarah Davies from Griffith University, and Hassan Ghulam, an Afghan community worker at the Romero Centre in Dutton Park. The meeting is on the second floor at the Trades and Labour Council building at 16 Peel St, South Brisbane. Click here for a Google Map with public transport details. 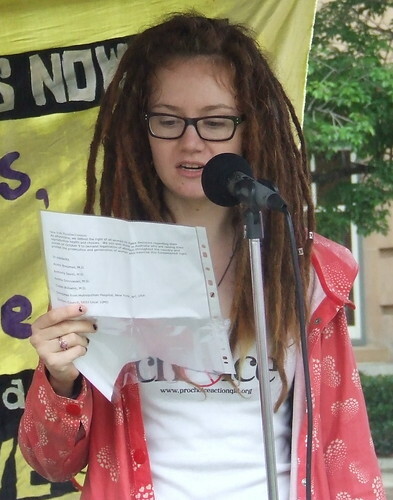 The rally was organised by the Pro-Choice Action Collective (PCAC) to protest the upcoming trial of Tegan Simone Leach in Cairns. 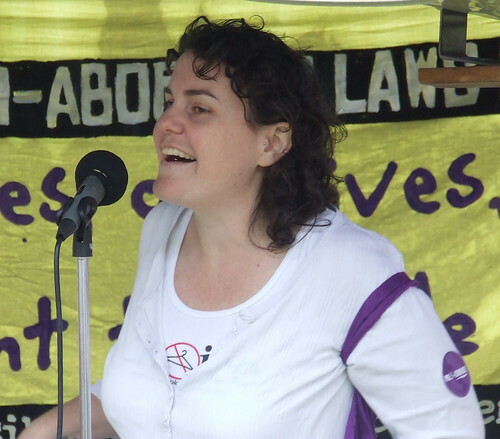 Ms Leach is charged with aborting her pregnancy, under Section 225 of the Queensland Criminal Code. Press “play” on the audio players under each photo to hear what that speaker said. Click here to see a set of 30 photos from the rally. Panorama of the audience. Click on this photo (and all the other photos) to see larger versions at Flickr. So, what does it mean when I say the Liberals (actually the Liberal National Party, the Queensland branch of the Liberal Party, led federally by Tony Abbott) are giving their preferences to Family First? Well, if people voting for the Senate in Queensland just put “1” in the box for the Liberal National Party, they give the LNP control of where their vote goes if the LNP has any votes left over after all their candidates have been elected, or have been knocked out of the race. And the LNP have made a decision that Family First will be the very first party with a chance to use any of their left-over votes. Makes you wonder just what sort of ignorant bigotry the LNP leadership is comfortable with. So, if you’re voting for the Senate in Queensland (or anywhere else in Australia), you should vote “below the line” instead. This means you control where your vote goes, not some party boss you’ve never heard of. In Queensland this means you need to fill out all 60 boxes in the Senate, from 1 to 60, in order, with your favourite candidate at number 1 and the one you hate the most at number 60. There’s a site called “Below the Line” which helps you – you still have to work out which parties you like, but once you’ve done that, it lets you print out a personalised How to Vote card reminding you how to fill out your Senate voting paper. You can take that card into the polling booth with you. 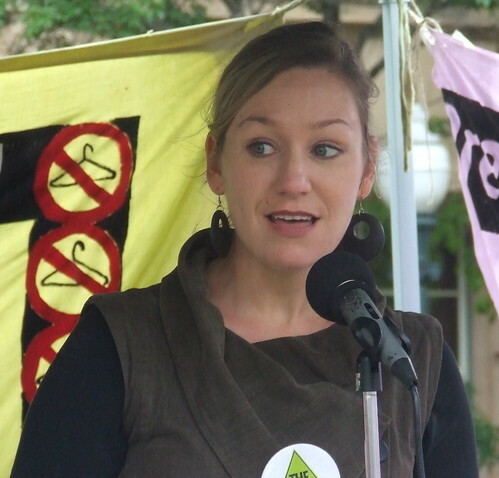 4ZZZ News reported on Monday on a pro-choice rally to be held outside Parliament House this Saturday, March 13 2010. The rally is being organised by the Pro-Choice Action Collective - there's a Facebook event here. Click here for a Google Map with the details of how to get to Parliament House by public transport. Some racist bigot on Facebook has set up a page where people can become a fan of being "Boong Drunk". A counter-page has been set up calling for the first page to be banned. Just in case you're unaware, "Boong" is a highly offensive term for Aboriginal Australians. You may want to click on the "thumbs up icon there for the non-offensive definitions and the "thumbs down" icon there for the offensive ones. There's a rally this Thursday, March 11 2010, protesting the recent death of an Aboriginal man in custody in Brisbane. 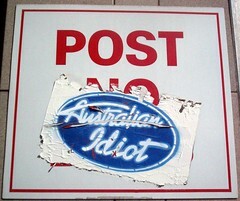 The 4ZZZ News blog reported the story on Monday and has all the details. 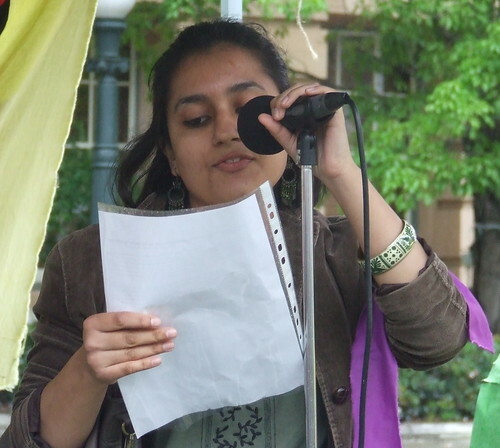 This article has a recording of the rally held today at Police Headquarters, Roma St, Brisbane City. There are also photos of the rally. To listen to the recording of the rally, click on the link and press "play" on the audio player at the Let's Take Over Posterous blog. There will be another community rally to discuss what to do about police violence against Aboriginal people this Saturday, at 11am outside Parliament House. There's also a forum about Indigenous people and Queensland's legal system at All Hallows School in Fortitude Valley at 3pm on Sunday. 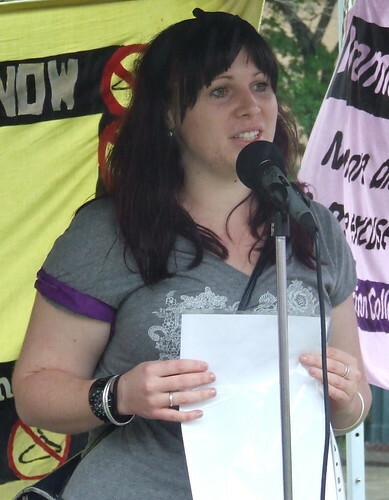 I spoke to Sam Watson yesterday about tomorrow's rally against black deaths in custody. The rally will be held at 1pm on Monday February 8th outside Queensland police headquarters at 200 Roma St, Brisbane City - for public transport details click here. Press "play" on the audio player to hear the interview. 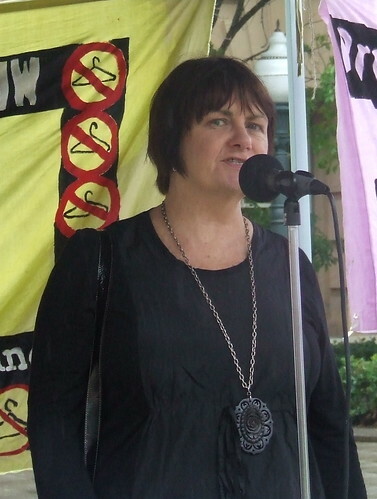 There's a rally on Monday February 8th 2010 to protest black deaths in custody. It's at 1pm outside the Queensland Police HQ at 200 Roma St in town - click here for a Google Map. The rally will call for an end to bashings and deaths of black deaths in custody, and for justice for black prisoners who have already been killed in custody. 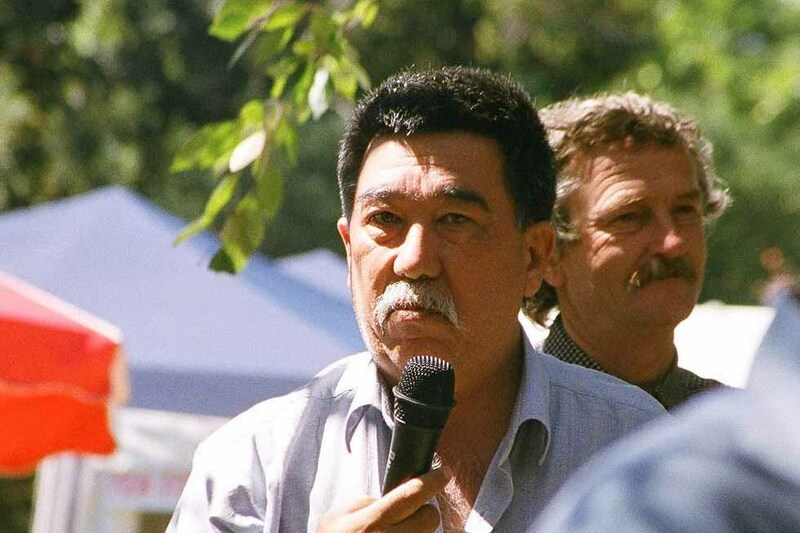 Rally organisers state that no Queensland police officer has ever been convicted of any Aboriginal death in custody, despite Senior Sergeant Chris Hurley changing his story before giving evidence into the death of Mulrunji Doomadgee in Palm Island in 2006. 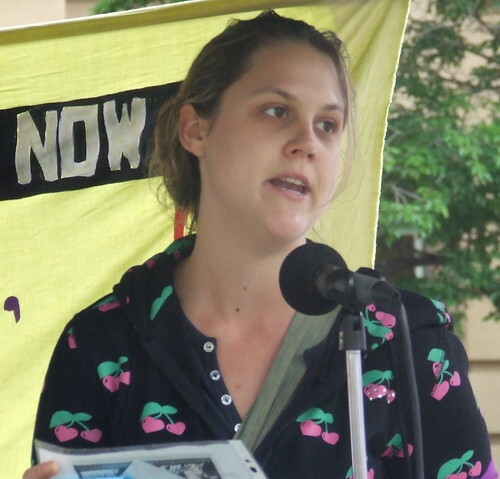 The rally will also demand another Royal Commission into black deaths in custody. The best way to get to the rally by public transport is to catch a train or a bus to the Roma St Transit Centre - the Google Map shows the Roma St transit centre and the police HQ. The Translink journey planner will help you find bus or train timetables. 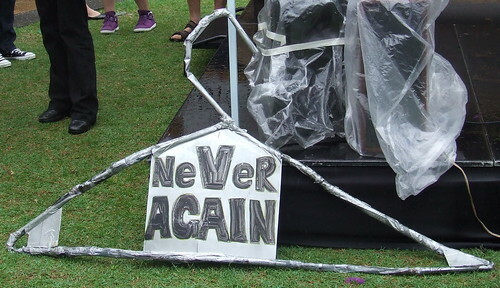 The Pro-Choice Action Collective is having a working bee at QUT's Kelvin Grove campus on Wednesday January 13 to prepare for their stall at the Big Day Out. The meeting is in the Queer space on Level 1 of C Block (the Student Services building) - click here for a Google Map. 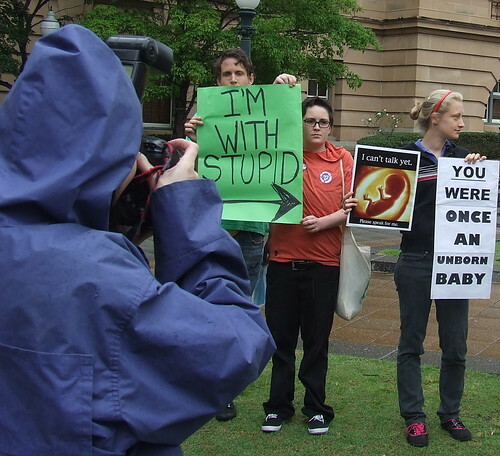 The current campaign is because a young woman in Cairns, and her partner, were charged with allegedly importing a drug so she could have an abortion. If you're on Facebook, there is a FB event here, and you can join the Pro-Choice Action Collective's FB group here. The working bee is from 2pm till 8pm. The best way to get there is to catch a bus to the QUT Kelvin Grove Busway station - click here to use Translink's journey planner to find bus timetables.